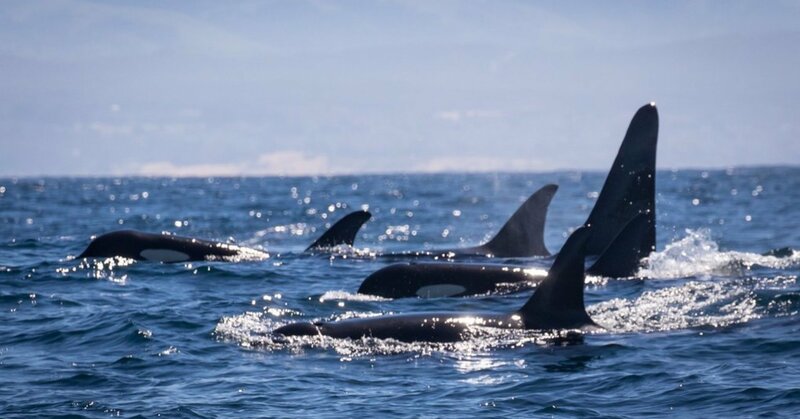 The orcas are part of “L pod,” a group of killer whales that typically resides in the Pacific Northwest and feeds in the Puget Sound area near Washington state and Vancouver, Canada. The first time they were spotted in the Monterey Bay area was in 2000, Black said. Typically, the killer whales that come to Monterey Bay are known as transient killer whales, meaning they feast on marine mammals. L pod — and two other pods, known as J pod and K pod — make up the Southern Resident killer whales, a group of orcas that eat primarily salmon. Black said the orcas have been having a difficult time finding enough to eat. L pod coming this far south is “good and bad news,” Black said. Some more good news: Black and her organization sent photos of the spotting to Ken Balcomb, executive director of the Center for Whale Research, who confirmed from the pictures that a calf born in December was still alive.